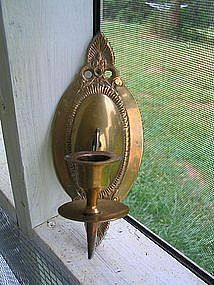 Made in India brass sconce measuring 8 inches in height. Shows slight oxidation. There are 2 available and priced individually.